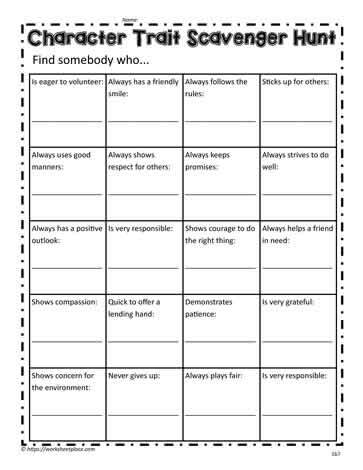 A great activity to do when teaching about the character counts. Students determine which person in their class exhibits each of the traits. Shouldn't use the same name twice when using the scavenger hunt.